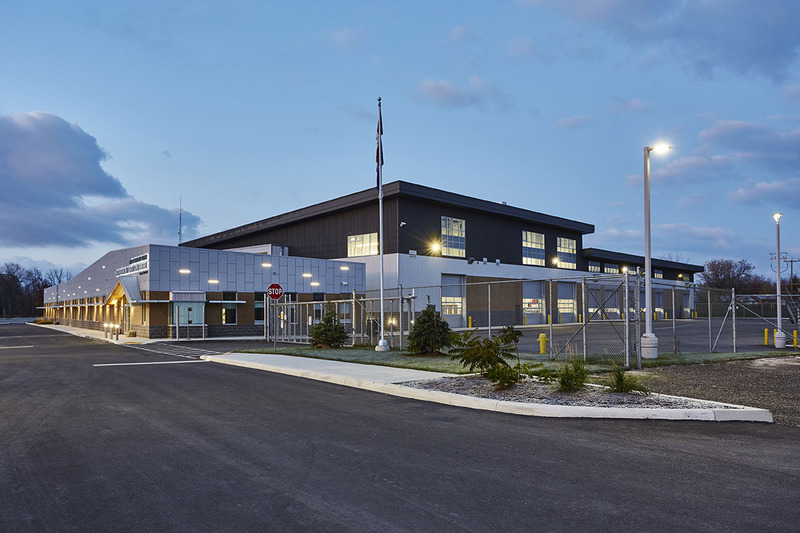 The new Port Colborne Operations Centre is situated on an island in the middle of Welland Canal. 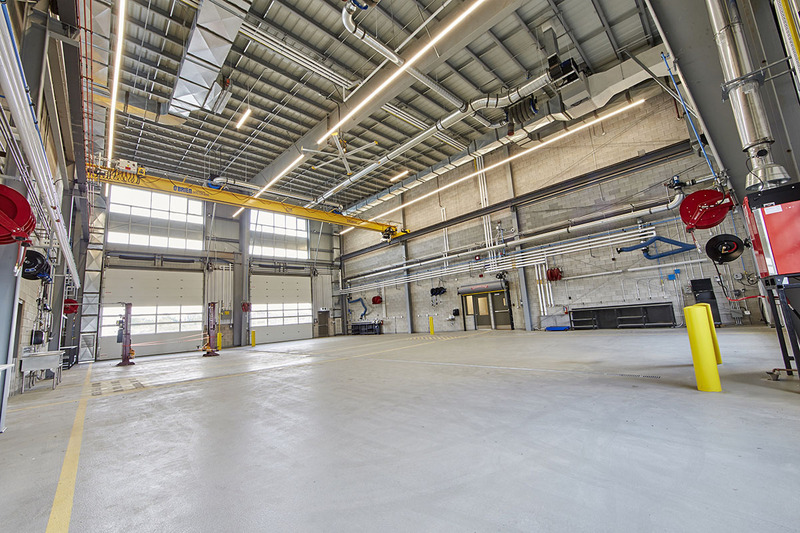 This was a challenging project when it came to site and budget and required close collaboration between the stakeholders, project managers and full consultant team to develop a strategy that met Port Colborne’s success criteria within the available budget. As part of the interior design process, we took time with the users to discuss how they work in the space and recognized just how different departments work so differently. Specifically, engineering works in a more collaborative environment with layout tables and shared discussion. 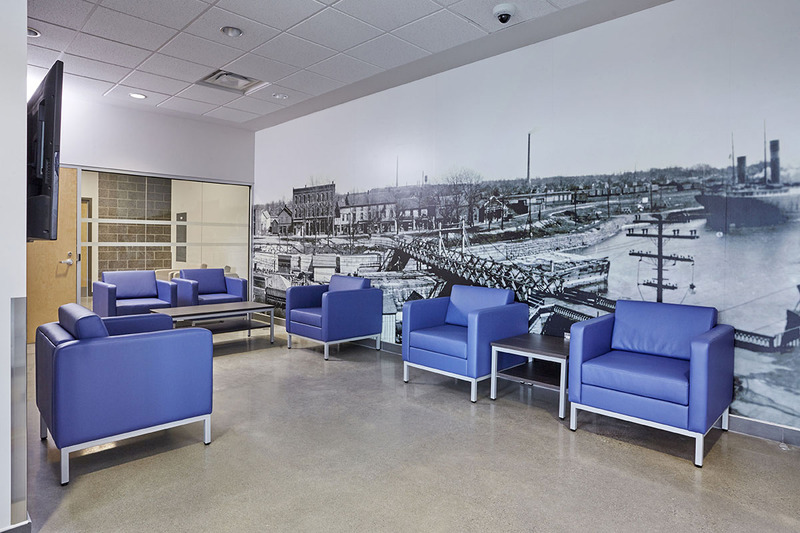 This meant a different approach to designing the space that was flexible for group environments. 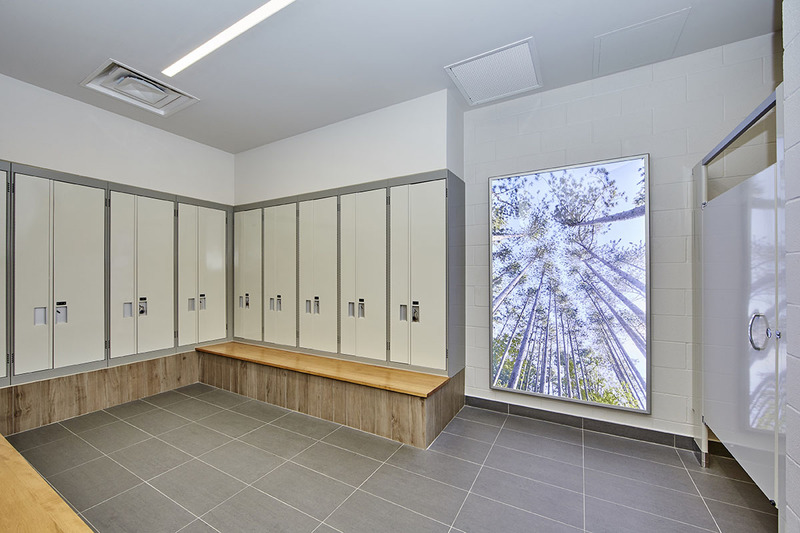 Our design included fewer walls, but greater investment in sound attenuation to ensure the space was conducive to this work. 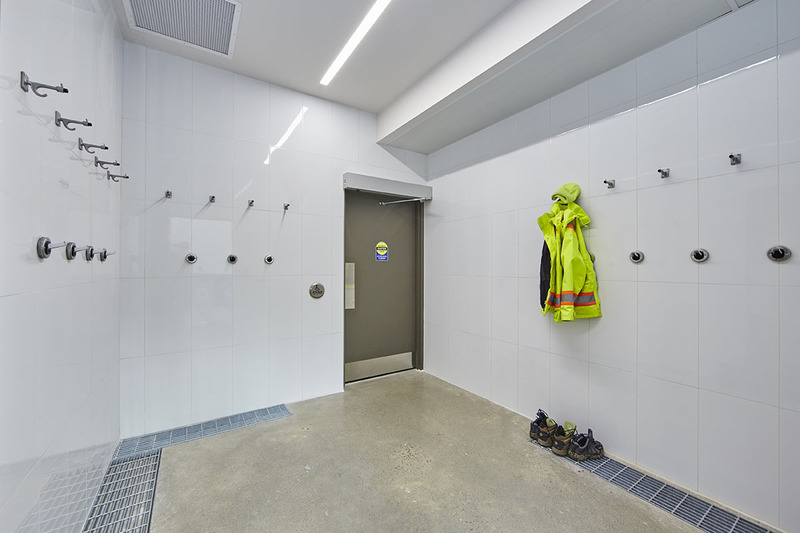 The facilities operation environment required less sound attenuation and more office spaces with specific adjacency and visual connections both to the staff and public entry points. We reviewed these spaces carefully as we added access to staff computers in the central corridor – a computer bar, which employees could use to quickly check in on work orders, etc. without interfering with the main office. The free space in the office could now function as touchdown spaces for summer staff, part time staff or transitional workers. 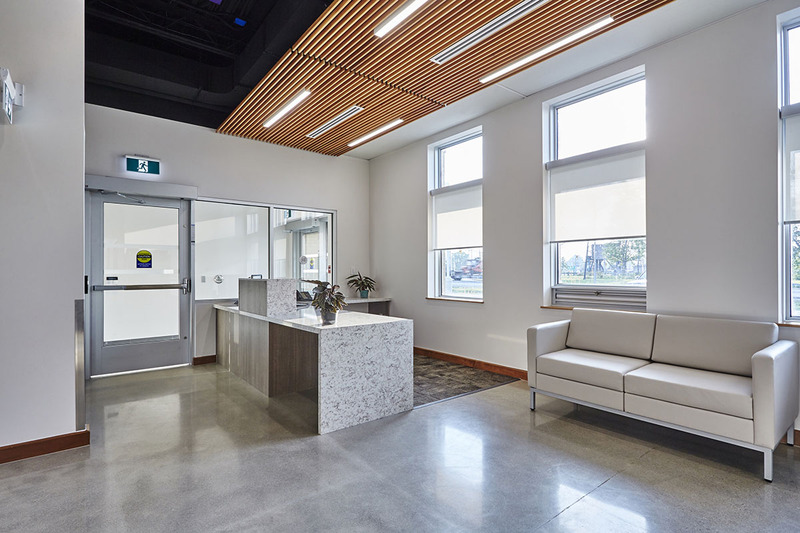 We worked extensively on design materials for the project as it is located in a high profile area next to the Canal and at a gateway into the downtown. The town understood the importance of a modern building, however they appreciated the use of authentic materials that related to the historic masonry housing stock in the community as well as the industrial detailing found along the canal lift bridges and waterway industrial buildings.